Care Shop sell a specially selected range of lockers and cupboards from exclusive supplier Lockhart. 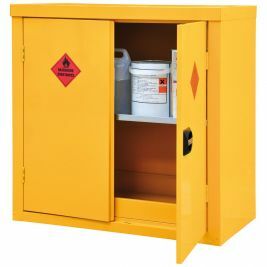 Our hazardous cupboards are available in single and double sizes and are specially designed to meet CoSHH regulations for the safe storage of flammable or corrosive chemicals. 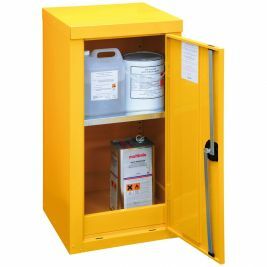 These storage cupboards are made from steel and have been designed with an integral liquid tight stump and a spill retaining galvanised shelf for effective spill management. Lockers & Cupboards There are 2 products.